What are the Arcana of the Tarot? 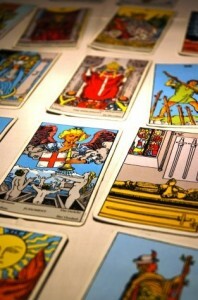 When talking about the Tarot and look for a way to understand it, it is essential to mention the issue of the Arcana. There are very important groups in which the deck is divided and they are known as the Major and the Minor Arcana. In this way, in the Tarot we can find 78 cards, which are the 22 Major Arcana and the 56 Minor Arcana. If you want to know each of the types of the Arcana, here I will explain you about them. The Magician, Priestess, Empress, Emperor, High Priest, Love, Shopping, Justice, the Hermit, Wheel of Fortune and the Force. There follows the cards of the Hung, death, temperance, devil and tower. At the same time, we have the cards of the star, the Moon, the World, the Crazy, the Sun and the trial. In the case of this Arcana, it needs to be known that they are in total 56 cards which are classified in different groups; there groups are 4 and each of them has 14 cards. These groups are very popular and they are the Golden, the Wands, Cups and Swords. Now that you know these Arcana, now you can understand a bit better the working of the Tarot. In any case, it is also important to get to know the meaning of each one of the cards and the influence of the groups in each of the readings.